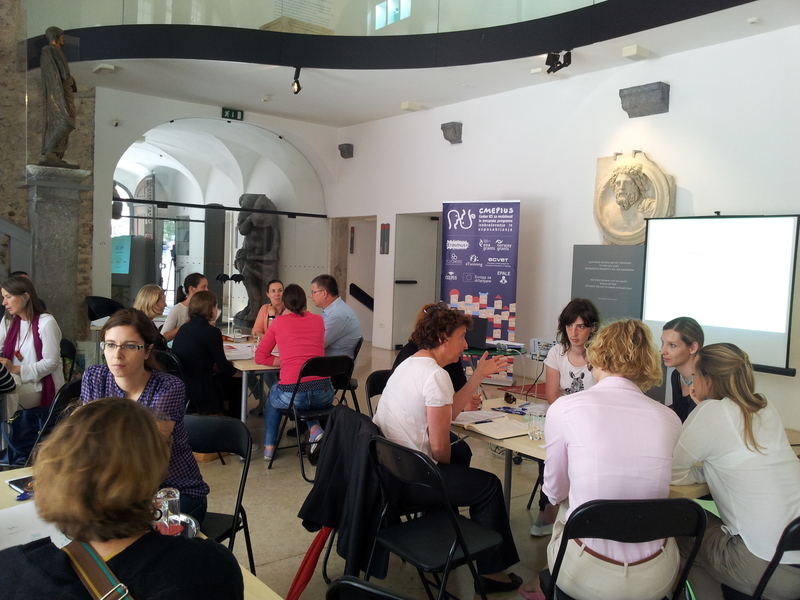 Ljubljana, 21 May 2015 – Centre of the Republic of Slovenia for Mobility and European Educational and Training Programmes (CMEPIUS), Centre for Information Service, Co-operation and Development of NGOs (CNVOS) and the Government Office for Development and European cohesion policy (GODC) organised the event “Expedition to the north: Sharing experiences and contemplating the future” with the aim of connecting various organisations and identifying potential joint project ideas. The main purpose of the event was to connect representatives of various organisations in the field of formal and informal education, with the aim of identifying common challenges and finding solutions, also as new project ideas, which could receive support under various sources of financing, including the Norwegian Financial Mechanism and the EEA Financial Mechanism, which were presented at the event. With the aim of finding potential synergies the event was organised as a course of thematic round tables pertaining to social inclusion, the environment, activation of youth and family. The participants of the roundtables presented their projects, implementation-related problems, and project outputs. At the end, the conclusions of the thematic discussions were presented and potential further cooperation identified. The event “Expedition to the north: Sharing experiences and contemplating the future” was well-accepted by the participants because it gave the participants a chance to learn from each other, establish cooperation and exchange experiences and contacts.